When looking at the details tab of a Change Request...what is the annotations table for? I cannot find any info on it, nor can I add objects to it. We are running WC10.0 M040 and are currently testing & debugging the Change Management system. you should be able to annotate with CreoView the Wtparts or CADdoc that you add in your Change Request. I have tested making annotations in CreoView.....but cannot attach or add to Change Request. 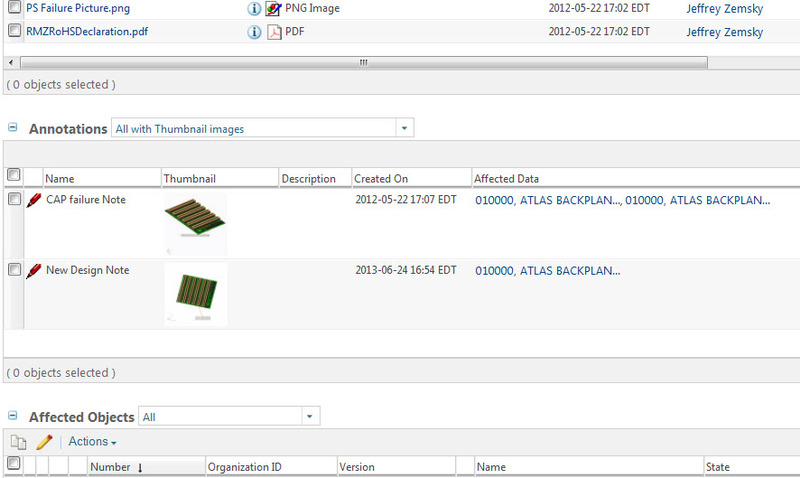 You should be able to use "visual" CreoView annotation or PSB BOM structural annotation. to create a Structure annotation. I hope you find this helpful; please let me know if you have any feedback regarding the documentation. I am having the same issue as Gregory, we cannot add an annotation to a CR. When I look at your link the first sentence says something about proper permissions must be set, but it doesn't tell you where to do this. I would search around my help, but we do not have the same help center (I am missing change help)....PTC's help (your links) is REALLY slow right now, will not even load the page. Can you find out where we must set permissions to get this working? I looked into this, and the developer I consulted indicated that the user attempting to add the annotations would need to have modify access for the change request and read access to the annotation. doing the same test as Greg. 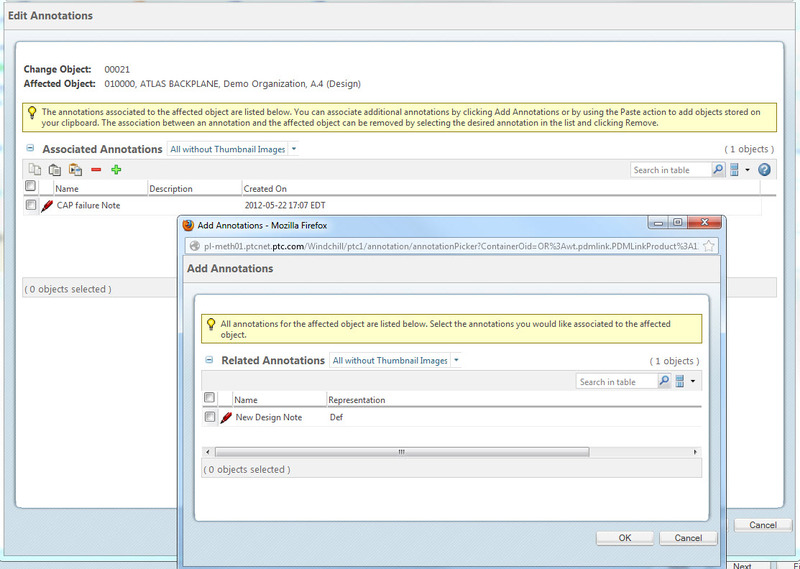 As Org admin ... full access for create and update the Change request and Annotation. But no action button to add the annotation in the CR. Can you go back to your developer? Unfortunately, I'm not able to pursue this any further. Have you opened a case with PTC Technical Support? If not, you could do so and, if there is a bug causing this issue, they can file an SPR on your behalf. I'll watch the progress of the case as well, to ensure that we capture any new information for the documentation.